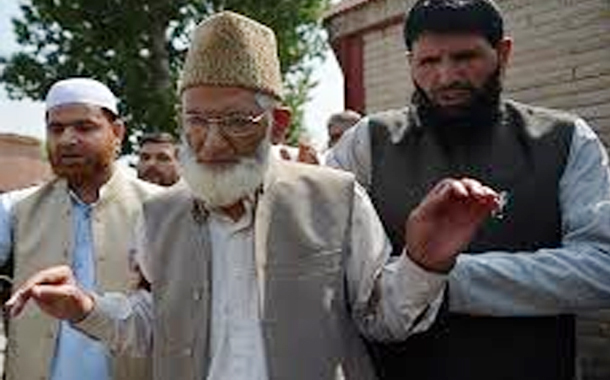 SRINAGAR — The eldest son-in-law of Hurriyat Conference-G chairman Syed Ali Shah Geelani passed away Tuesday afternoon. “Ghulam Hassan Makdoomi of Dooru Sopore passed away this afternoon in SKIMS Soura,”said a Hurriyat Conference spokesperson. Makhdoomi was suffering from stomach cancer and was admitted at SKIMS last week. Sources said that the funeral prayers will be offered at 10am on Wednesday at Duroo sopore. Meanwhile, Hurriyat Conference-G has condoled the demise of Makhdoomi and prayed for eternal peace of the departed soul and courage to the family to bear this tragic loss.